If I had to pick one word to describe Conan The Barbarian #19, it would be uninspired. 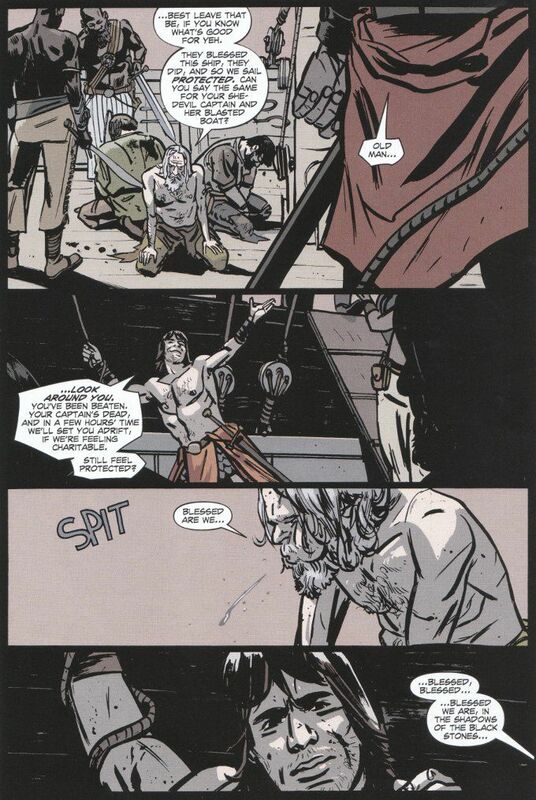 The story, centering around Conan and Belit's efforts to ransom a stolen holy object back to its' owners, is as uninspired and lifeless as the book's artwork. Paul Azaceta's artwork is far too static and posed for what is mean to be an action & adventure book. The script by Brain Wood seems more like an H.P. Lovecraft story than a Robert E. Howard one. There's precious little action and far more weird babbling by strange priests about dark secrets than there is honest bloodshed. 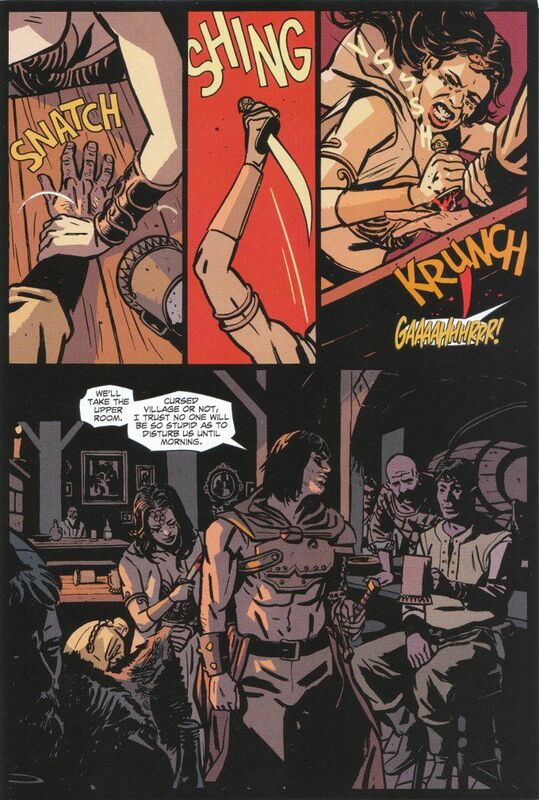 Hell, the most exciting moment of the comic comes when Belit stabs a man who asks Conan about buying her. Dave Stewart's muted coloring is another strike against this book. His muted palette made sense in the issues set in the gloomy land of Cimmeria but it seems dull and drab here. There are splashes of color here and there, primarily in the few moments of action. While it's an interesting stylistic choice, it would have been far more effective for the artist to make the action scenes exciting rather than trusting the colorist to define everything.